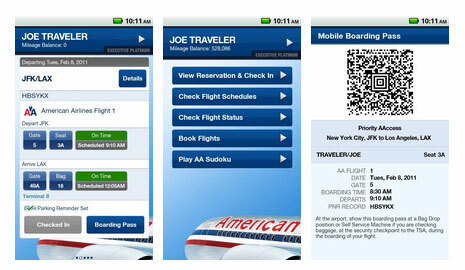 American Airlines has released an Android app to join its iPhone and iPad versions. Features include mobile boarding passes, flight information and terminal maps. The new app can be downloaded free of charge from the carrier’s website, and allows customers to check in for flights, receive gate, seat and flight status information, view terminal maps, set parking reminders, monitors standby lists, track elite status progress, access mobile boarding passes, use GPS to locate the nearest airport served by American, and even play Suduko. The app also provides links to the AAdvantage loyalty programme. The carrier says that there have been over one million downloads of its iPhone and iPad apps. For more information visit aa.com, and for our round-up of the 101 best travel apps, see the forthcoming March 2011 issue of Business Traveller.